Welcome to Waterfront Learning! 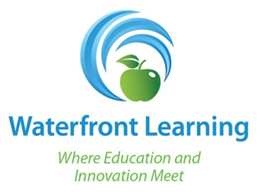 The entire Waterfront Learning team is here to collaborate with you to help you, your district, and your families have the best online learning experience possible. The program is available to answer questions as well as provide support to its districts on a regular and continual basis. To provide liaisons with information necessary to facilitating online learning programs, the program created this password protected page. Below you will find the information and forms that you will need to support your district, colleagues and students. Please check the site regularly updates and program announcements. THANK YOU! Please clicke here to create an account in Waterfront Learning's SchoolDude helpdesk portal.